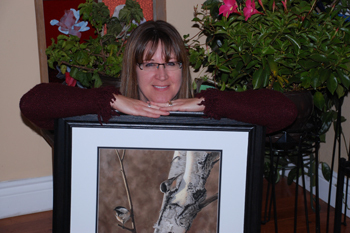 An award-winning Canadian artist from Sudbury, Ontario, Colette Theriault's finely detailed wildlife and pet portraits are meticulously painted or drawn in a photo-realistic style. 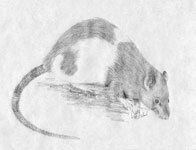 Inspired by nature and the creatures that surround us, she captures the essence of her subjects using mainly soft pastels or graphite pencil. The artist regularly participates in numerous group exhibitions and solo shows. Her latest achievement has seen her work accepted into The Pastel Journal's Pastel 100 International Competition as well as the 2012 Annual Exhibition of Nature In Art which featured works from top wildlife artists and conservationists around the world including Canada's renowned Robert Bateman. Colette is a signature member of the prestigious Artists For Conservation, a world renowned international organization dedicated to the celebration and preservation of the natural world. Additionally, she is also an active member of the Northern Ontario Arts Association, The Sudbury Arts Council, the Sudbury Art Club and Artists on Elgin. 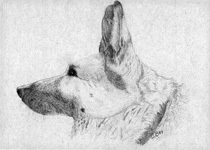 The artists accepts commissions of pets, wildlife and scenery. Her work is found in private collections throughout North America and as far as Australia. A few years ago, Colette was commissioned to create a commemorative piece for the US Pentagon. More recently, the artist has partnered with CG Labs Inc. and will be offering one-of-a-kind DNA memorial portraits that incorporate a pet's genetic code directly into the paint. Please view the workshop schedule and inquire with the artists for additional information.